Videos can tell a story and evoke emotion – if done right! 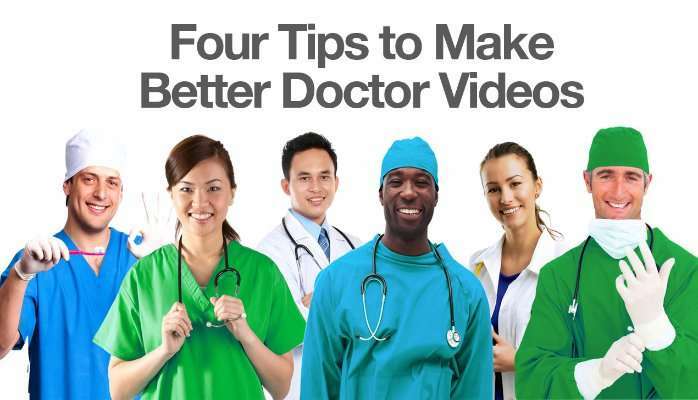 For Doctors who want to connect at a more personal level with new patients a well-made video can make that happen. Whether it is you, the doctor, telling about what you love about being a doctor, or testimonials from your past patients telling how you make them feel comfortable and at ease, video conveys the feelings and emotions in a way that nothing else will! In order to catch people’s attention, however, not just any video will do! GET TO THE POINT – Your video needs to get to the point immediately. Lead with your best stuff – no long boring introductions please! People have short attention spans and will click away if they aren’t drawn in right away. BE REAL – You and your patients should emote – no scripts or stiff reciting of memorized wording. It must be real, authentic and conversational. A word of caution – unless you are extremely good in front of a camera make sure this is edited for maximum impact. MOST PEOPLE AREN’T so hire a professional to interview you and your patients to get the best soundbites possible. BE BRIEF – Not only should you get to the point from the start, but get to your “Grand Finale” as soon as possible. Shorter is generally better. If people see that the video is 5 minutes they may tune out before even giving you a chance. HIRE A PROFESSIONAL TO HELP – Don’t do this yourself unless you happen to have a background in video storytelling. Your expertise is medical. You wouldn’t recommend that a video producer perform their own diagnosis or procedure. So why would you think that making compelling videos is something that just anyone can do??? Don’t skimp on quality here. Some people think having any old video is better than no video. WRONG! Bad video video is just plain, bad. Better not to have a video than a bad or boring one! All the Best! And happy video making! Christie Wilson and her husband Chuck work with doctors all over the country to create great videos to promote their practices. They work with Plastic Surgeons, Dentists, Chiropractors, Orthopedic Surgeons, Bariatric Surgeons, Dermatologists, Vascular Surgeons, Orthodontists, Podiatrists and more. Christie and Chuck can be reached at 888-477-5376 or by visiting GREEN GORILLA MEDICAL at http://greengorillavideo.com today.